We envision a world where orphaned children experience the care and safety of a loving home environment while receiving a quality education. We envision them achieving their full potential, breaking cycles of poverty, enabling them to assist their families, communities, and the world. To achieve this goal, we focus on two ways we believe we can have the greatest impact: One, by providing immediate assistance to students in need of help, and, two, we work with individuals and orphanages in need with vital assistance such as food, clothing, school supplies, school uniforms, books, and more. Education and literacy prepares them for self-sufficiency and a career that surpasses their family’s dreams. This empowers our children to succeed in life, becoming contributing members of the world. Casa de Kids currently supports the education of four university level students (who are doing exceptionally well), and another 50 who receive much-needed remedial classes to enter and succeed in schools of higher education. In Mexico live thousands of orphaned children who make up a fraction of the world’s more than 250 million children failing to achieve basic literacy skills. Many of them are girls who will find doors of opportunity closed to them, or boys who may become fathers themselves. Casa de Kids believes that all children, regardless of gender or background, have a right to education, safe housing, and opportunities to thrive. By empowering these precious children, we see a world in which they will realize their potential. Our origins started in 2007when our co-founder Drew Vogt began to dream of providing care and education to the children of Oaxaca, Mexico. 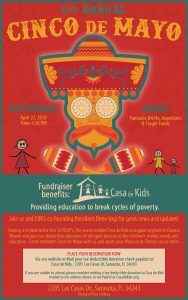 Each year Drew’s efforts have increased until the founding of Casa de Kids as a non-profit in 2015. 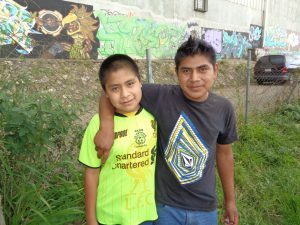 Drew was introduced to the plight of these children of Oaxaca through friends who had visited Oaxaca. 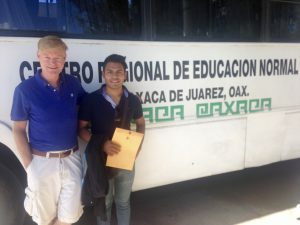 He was so inspired by people who were making a huge difference in the lives of Oaxaca’s children he boarded a plane and went to check it out! He landed alone in Oaxaca City (the capital of Oaxaca, Mexico) and began to investigate the need. For the first time in his life he witnessed up close the uncomfortable conditions of poverty and children who had no one on which to lean. Casa de Kids is dedicated to giving these children a chance for success, by providing to them care and food, education and opportunity. We are doing this by promoting a holistic approach to meet their needs and enabling them to self-sufficiency. Imagine a world in which every orphaned child has access to education leading to a fulfilling life. Casa de Kids will do our best to make this dream a reality, one child at a time. Casa de Kids’ goal is to team up individuals from the private and public sectors in order to become a respected educational development organization. Our leadership team is comprised of some of the brightest and most passionate that Drew Vogt could bring together. Among the CdK team, they possess a cumulative of several decades of community service experience. We believe in integrity, transparency, and being faithful stewards of donors’ investments in Casa de Kids. Together, we aim to provide thousands of orphaned children with the lifelong gift of a safe childhood and education.